Every pet has their specific individual nutritional needs and one diet does not fit all. For a pet owner it can be very confusing. Should I give a raw diet, commercial canned or dry food, home-cooked, or a combination of any of the above? It is important to work with your veterinarian to determine the best diet for your pet. However, on this national Cook for Your Pet day we thought we would give you a few food ideas that you can incorporate into your pet’s diet for added nutritional benefit. Some items can be “cooked” and others given fresh..try to maintain as much nutritional value as possible (don’t overcook). For more diet tips visit our website Askariel.com. Note- make sure any item is safe to be consumed by your pet. Certain foods (such as chocolate and onions) can be toxic. 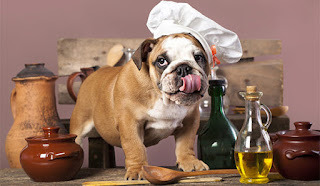 Here is a link to American Kennel Club for toxic foods. Also, make sure you consider any health conditions your pet may have, such as: weight issues, diabetes, kidney disease, pancreatitis and Cushing disease to name a few. Remember…”You are what you eat" goes for your pet too!